In addition to producing quality parts and complete assemblies, Supreme Manufacturing can also assist with your design needs. 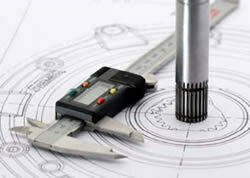 We offer 2D and 3D Mechanical Design services, as well as consulting and detailing services. From concept to completion, Supreme Manufacturing can work with you every step of the way. It is the result of high intention, sincere effort, intelligent direction and skillful execution."